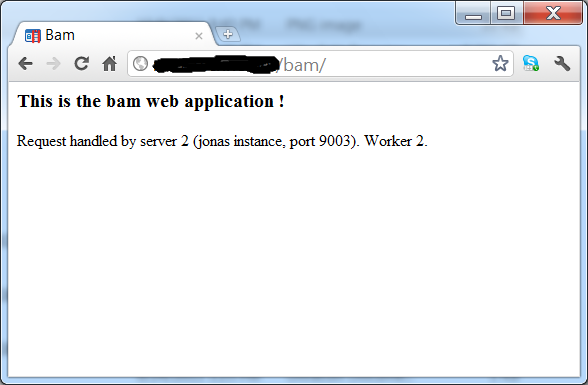 Regarding the files to modify, if you are using JOnAS 5.2, tomcat6 is the default web container. If you are using JOnAS 5.3, Tomcat7 is the default one. You can switch by modifying the ‘jonas.service.web.class’ property in $JONAS_BASE/conf/jonas.properties file. I used the same name as the worker for the jvmRoute. What happens is that the module mod_jk redirects the client request to one of the 2 Jonas instances, alternately. This is called round robin. It evenly distributes requests to all available jonas instances. If one of the instances is shut down, then all requests are redirected to the remaining instance. Here is a screenshot of the page the first time the URL is reached and the second time, after refresh (F5). 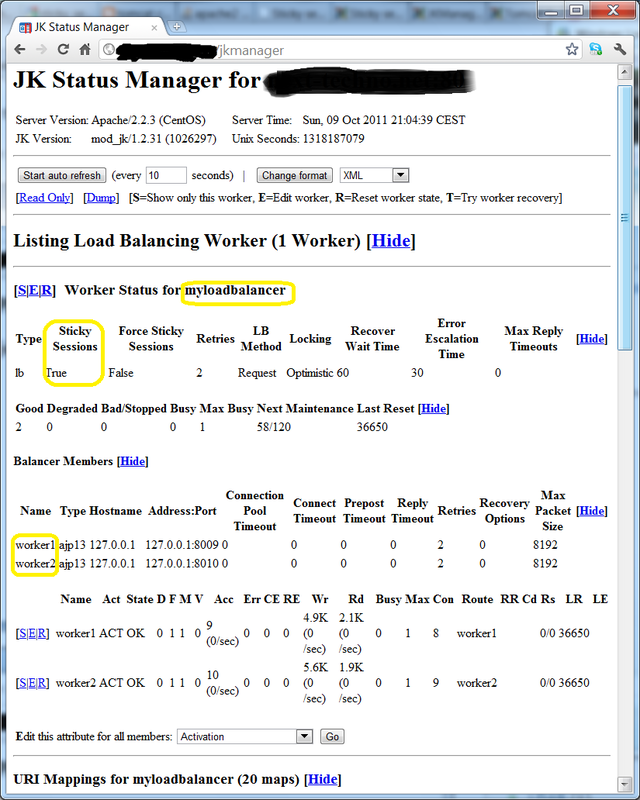 I have also configured the jk Status Manager interface which allows to monitor the workers, see their respective status, enable/disable them, etc. An important feature to note is that mod_jk can keep track of sessions : a single user always deals with the same backend jonas instance (sticky sessions).